With great pains, you are growing your mailing list. You send out a regular newsletter and periodic updates in the hope of engaging readers and retaining them. And you are seeing results – you see that the list is in fact growing. But you also see some people leave the list regularly. And this breaks your heart. Is there some way to stop these people from leaving? Yes! Here is a cool trick that I stumbled upon by accident – it would surely help you reduce the number of people leaving your mailing list. The first step before we start implementing this trick is to know why people are leaving your mailing list or email newsletter in the first place. All good email newsletter service providers like Aweber have some form of feedback mechanism in place – when subscribers unsubscribe, they are asked for a reason (optional field), and if they answer, Aweber lets you know the reason through an email. Now this information is very powerful – if you know the reason why they are leaving, you can implement this cool trick to drastically reduce the number of unsubscribes! Why someone leaves your mailing list? For example, for my What to do in New York City blog, people often unsubscribe after their New York trip is over. But more often than not, the reason is the frequency of the emails – when people subscribe to many mailing lists, their inboxes get clogged very quickly, and they unsubscribe from mailing lists. So for the purpose of this post – as an example – we would say the primary reason for people unsubscribing is: high frequency of emails. Now that you know the why people are leaving your mailing list, think of alternatives – what can you offer people as an alternative of your regular email list? Something that would take care of the primary reason for leaving? For our example, what can be the alternative? Have a separate mailing list with a lower frequency – maybe a monthly newsletter instead of a daily / weekly newsletter! Now that you know what the pain point for your list is, and have found a solution or an alternative, it is time to present this alternative to your subscribers. But wait – who should you present it to? How? When? You of course should not present this alternative to all your subscribers. If people are happy with receiving your emails frequently, why change that?? You should present this alternative only to the people who are unhappy and want to unsubscribe. And you should give this option at the time they are unsubscribing. Do you think it would stop people from unsubscribing? Of course yes! 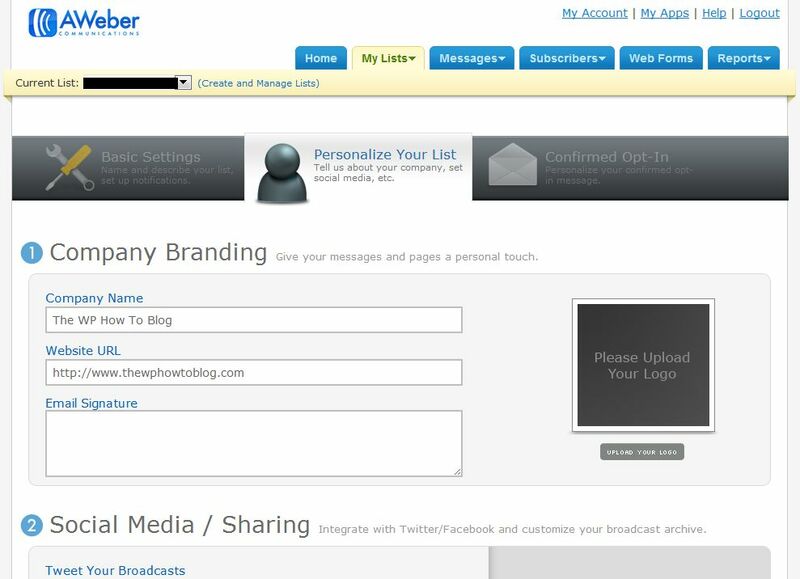 The first step is to create another mailing list within your Aweber account. You would be sending out lesser number of emails to this list – maybe in a digest format. Now, you need a page from where people ca opt into this list. Generate an optin form from Aweber, put it on a dedicated page on your blog, and publish the page. Remember, you don’t have to link to this page from your blog’s menus or anywhere else – you want it to be hidden so that most people subscribe to your regular email list. This is only for retaining the people who are unsubscribing. Now you need to create an image that conveys your message. You have to point out the pain point of your subscriber, and tell them that if they subscribe to another list, this would no longer be a problem. So in our example, we can tell the subscribers that if they are leaving because they are getting too many emails, they can subscribe to this other list where they would get lesser emails – but would still benefit from your great content. If you want, you can put attractive “call to action” images for conveying this message. Now this is where it all comes together! In the Website URL, put the URL of the page that has the opt in form for your new list. Then, click on the “Upload Your Logo” button, and upload the image you have just created to convey your message. After you have done this, click on “Save Settings” at the bottom of the page. When people join your new list, you don’t want them to receive messages from your regular list as well, would you? That would only annoy them further! Therefore, you need to set up an automation rule that unsubscribes people from your regular list when they subscribe to your new (low-frequency emails) list. 6. You are all set! 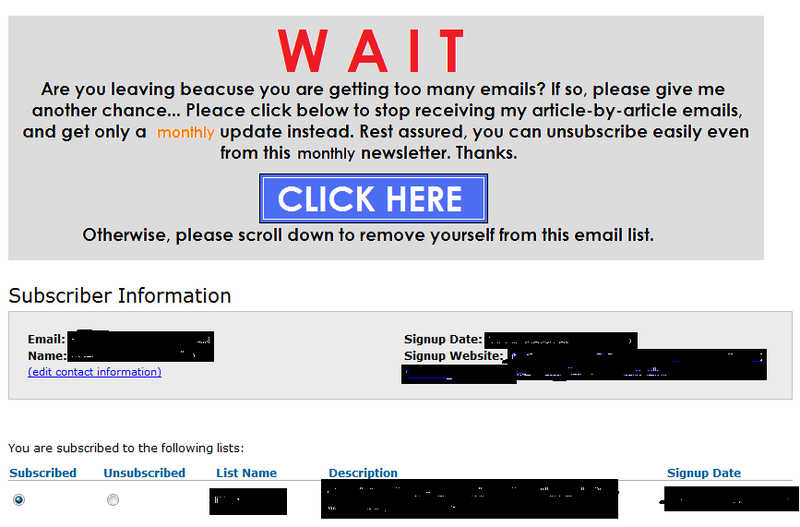 Trust me, a lot of people would click on the image, go to the subscription page of your new list, and subscribe to it! This way, you would be able to retain many of your subscribers that would have otherwise left. This has worked for me on my blogs, and I am sure it would work for you too! Enjoyed reading this post? Get articles about blogging, WordPress, getting traffic, making money, and more. Plus, get a FREE e-course "Make Money Blogging". I run 20+ blogs, and each of these is hosted at HostGator. I have been using their service for a long time, and have never experienced any downtime. They also have a very responsive customer service team. 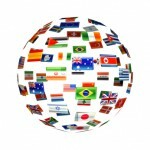 HostGator provides the most reliable and fully featured WordPress hosting service. Their plans start as low as $3.96 per month for unlimited hosting - try out HostGator now! Thanks very much for the article – I find list management really difficult – a bit like a mental block. Having read this I am going to implement this technique on a new site straight away. One other thing – you are using eleven40 – it’s responsive – but you’ve placed items on the page that are not responsive. My new site that I’m currently working on is also on eleven40 so I am noticing this stuff at the moment. Thanks for your comment – I am glad to know that you found this tip useful.